Just letting you know that if you are a big ski or snowboard fan, this winter in New Zealand is going to be perfect for you!! For the past 2 days there has been a huge snow storm in the South Island which caused around a metre to a metre and a half of snow! Not only is this great for the ski-season, but it is also a big bonus for the annual American Express Queenstown Winter Festival that kicked of yesterday! As you probably already know, the Kiwis are always looking for reasons to make a party, and that is exactly how this Festival started! Back in 1975 a couple of locals from Queenstown basically decided that the Winter is super amazing and that the start of it needs to be celebrated! Since then, the Festival grew to be one of the biggest celebrations of Winter! The Queenstown Winter Festival is a 10-day celebration including street parties, fireworks, local ánd international acts, comedy, family fun and heaps of more fun stuff! This entry was posted in INTERNeX and tagged auckland, cold, festival, fun, INTERNeX, internexnz, new zealand, queenstown, skiseason, snow, snowstorm, winter, winterfestival, worklivelearn on June 19, 2015 by INTERNeX. Any festival fans over here? The weather is great and the summer vibes are booming! What would be better then going to a festival right now? Next month it’s time again for Splore Festival! This three-day festival (with camping!) is not too far away for Auckland (Tapapakanga) which makes it the ideal summer escape from the busy city! For only $255 you can enjoy this massive line-up, see below! It’s a great festival, suited for people from all ages! This entry was posted in Festival, What to do on the weekend and tagged festival on January 11, 2015 by INTERNeX New Zealand. 2013 marks the third year of the Auckland Festival of Photography’s Annual public commission of photographic art by New Zealand photographers. The festival opened on June 3rd and is running daily from 9am to 6pm throughout June. Photos are on display at various places around the city, including Wynyard Quarter, for more information check out the website www.photographyfestival.org.nz. As part of this festival, there is a film screening held at the Auckland Art Gallery on Sunday 23rd of June at 3pm. A documentary by Laurence Shustak will be screened. This documentary will explore the question: “Why would a successful New York photographer leave his family, friends and career behind and travel to the edge of the earth, Christchurch, New Zealand? This entry was posted in Festival, INTERNeX, new zealand, Picture of the Week, What to do on the weekend and tagged auckland, festival, INTERNeX, photography on June 14, 2013 by INTERNeX New Zealand. Next Monday (3rd June) New Zealand will be celebrating the Queen’s Birthday. There will be plenty of things taking place in downtown Auckland with the “Best of British” festival being held on Queen’s Wharf. This is a celebration of everything British, with classic car and dancing displays, a Mad Hatter’s Tea Party and plenty of other free activities. This event is free to the public and open each day of Queen’s birthday weekend (10AM-5PM 1-3 June). Visit the Queen’s Wharf page on Facebook for more information. This entry was posted in Festival, new zealand, What to do on the weekend and tagged festival, INTERNeX, new zealand, queens birthday, weekend on May 27, 2013 by INTERNeX New Zealand. St Patricks Day will be celebrated this Sunday 17th of March. St Patrick is the patron Saint of Ireland. In celebration of this day there will be a parade held in Auckland City’s Queen Street featuring Sean Kelly and the Celtic Flyers, the Connolly School of Irish Dance, Kiwi and the Leprechauns by Catherine Kelly and the Celtic Flyers. The parade runs from Mayoral Drive to Queens Wharf. Wear something great and head to Queens street for a St Patrick’s Day celebration! This entry was posted in Festival, INTERNeX, new zealand, What to do on the weekend and tagged festival, green, INTERNeX, new zealand, st patrick's day on March 15, 2013 by INTERNeX New Zealand. This week’s picture of the week is of the Auckland Lantern Festival Fireworks, which were let off the Sky Tower on Sunday night. The Lantern Festival was a beautiful display of lanterns brought to NZ from China especially for the occasion. There were traditional Chinese food stalls, music and entertainment as well as the fireworks on the last night. This year is the year of the snake, which is meant for steady progress and attention to detail. The Chinese Zodiac consists of 12 Animal Signs, the Snake being the 6th. It is thought to be the intuitive, introspective, refined, enigmatic and collected sign of the Chinese Zodiac. 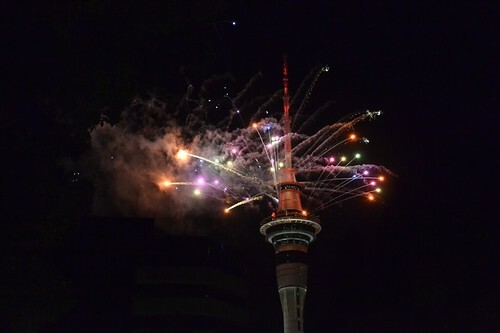 This entry was posted in How was your weekend, INTERNeX, new zealand, Picture of the Week and tagged chinese new year, festival, Fireworks, Lantern on February 26, 2013 by INTERNeX New Zealand. 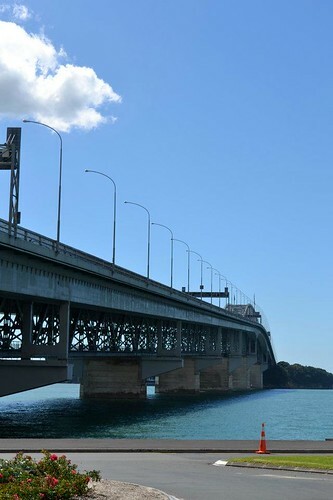 This weekend the Devonport Food and Wine Festival will be held in Devonport from 11.00am to 6.00pm on Saturday 16th and 11.00am-6.00pm on Sunday 17th. 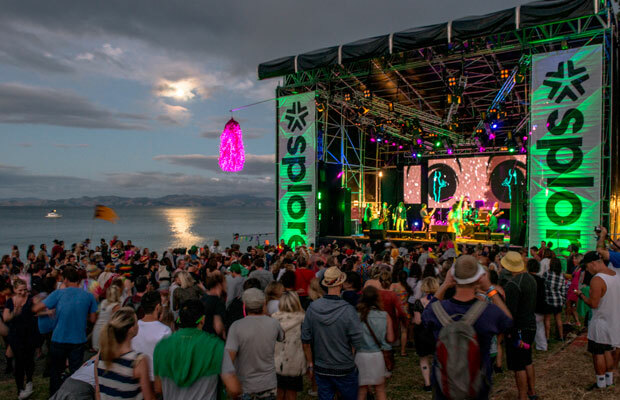 There will be a huge selection of great kiwi food and wine as well as plenty of NZ musicians including Annabel Fay, Jamie McDell, Avalanche City and The Baxters. Tickets are on sale now and can be pre-purchased through iTicket (www.iticket.co.nz) for $32 (Saturday) and $30 (Sunday). This entry was posted in Festival, INTERNeX, new zealand, What to do on the weekend and tagged festival, food, INTERNeX, new zealand, wine on February 11, 2013 by INTERNeX New Zealand.